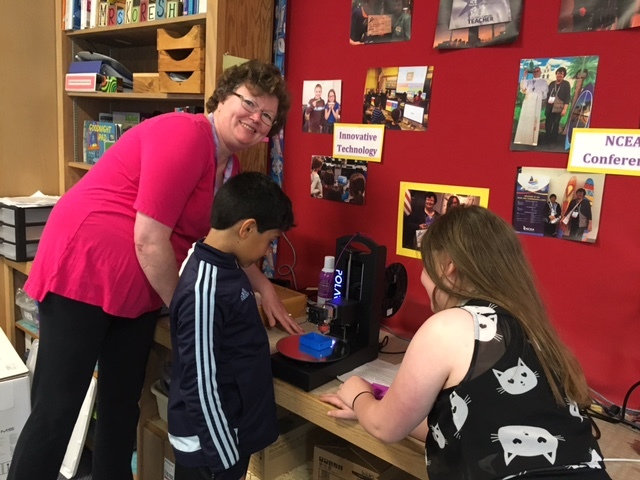 Students at Edgewood Campus School lean in for a closer look as the project they designed in Global Inventors materializes on the Polar 3D printer. 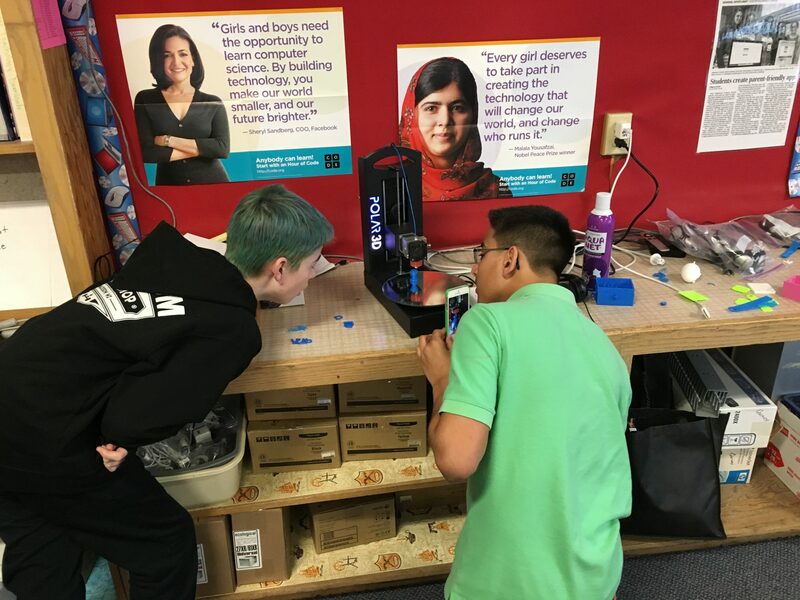 ECS partnered with Level Up Village to get started with 3D printing and connect students to peers in the developing world for one-on-one STEAM collaboration. We’re delighted to announce that Lynn Koresh, technology teacher and coordinator at Edgewood Campus School in Madison, Wisconsin, is our very first Level Up Village Teacher of the Year! We’re recognizing Lynn for the terrific work she has done with her students in her LUV after-school courses including Global Inventors and Global Video Game Designers. Focused on solving real-world problems and making global connections through its use of technology, Edgewood Campus School partnered with Level Up Village starting in the fall of 2015. Led by Lynn Koresh, students at ECS are learning 21st Century skills such as 3D printing and game design in their Level Up Village courses. This school year, they collaborated with partners in Pakistan and Nicaragua. Global Inventors, offered to ECS students in grades 3-5 and 6-8, taught them to utilize computer aided design (CAD) to 3D print a variety of projects, including solar light sources – in collaboration with partners at iEARN Pakistan and NicaPhoto in Nicaragua. As the students proceeded through the stages of the engineering design cycle together with their global partners, there were many memorable moments. Each class period, students exchange video messages and files using LUV’s secure Global Communications Platform. The students’ enthusiasm for the course even inspired parents to get involved. In Global Video Game Designers, Koresh’s students co-designed video games in collaboration with students from Exponential Education in Ghana. Some students continued to code games even after the course ended. 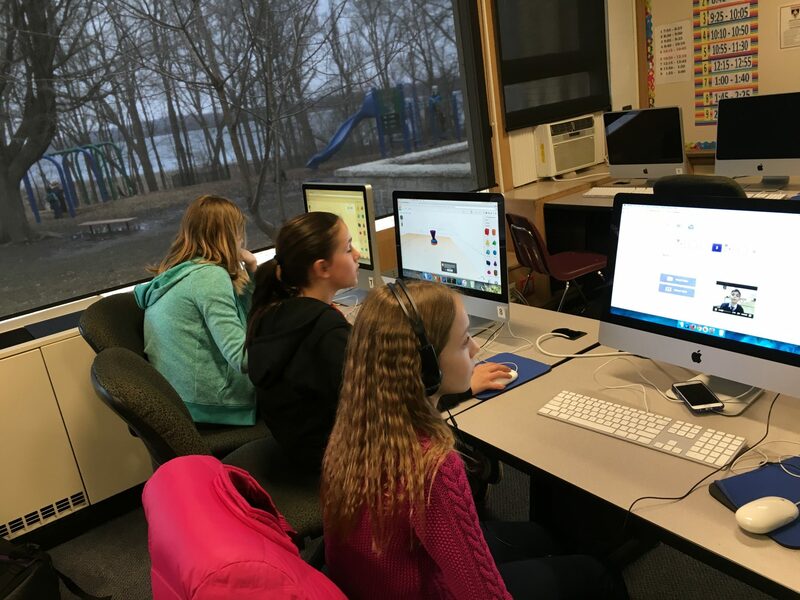 “A group of fourth grade students went on to explore more functions of Scratch on their own time in order to design even more complex games,” said Koresh. In March, Edgewood Campus School won the Innovations in Catholic Education (ICE) Award in the category of “an innovative project facilitated by technology,” due to the global collaboration taking place in their Level Up Village courses, as well as the school’s other global education initiatives including partnerships with Flat Connections, Project CS Girls and Technovation. Next school year, Koresh will continue to run LUV courses as part of the after-school enrichment program, but will also integrate LUV’s Global Web Designers into the school day in keeping with the school’s mission to foster global citizenship as part of the curriculum. We look forward to working with Lynn and her students as they embark on another year of STEAM learning in a global context! 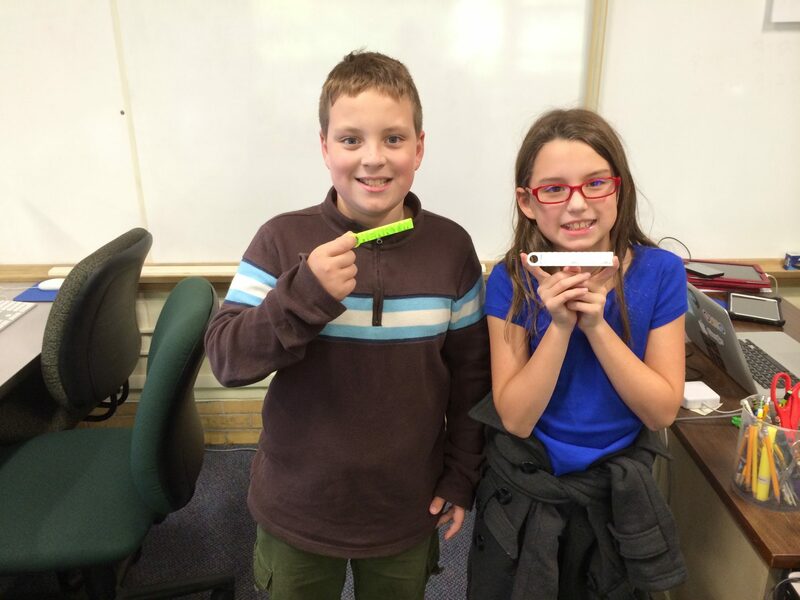 One of the first projects in Global Inventors is to design and 3D print personalized name tags. This experience introduces students to the basics of CAD and prepares them for more complex tasks. See the other teachers we’re recognizing during Teacher Appreciation Week (May 2-6) on The LUV Teachers Lounge, a new page on our website that highlights the fabulous community of LUV Global Educators at our more than 100 U.S. schools and 30+ global partner organizations in 20+ countries!